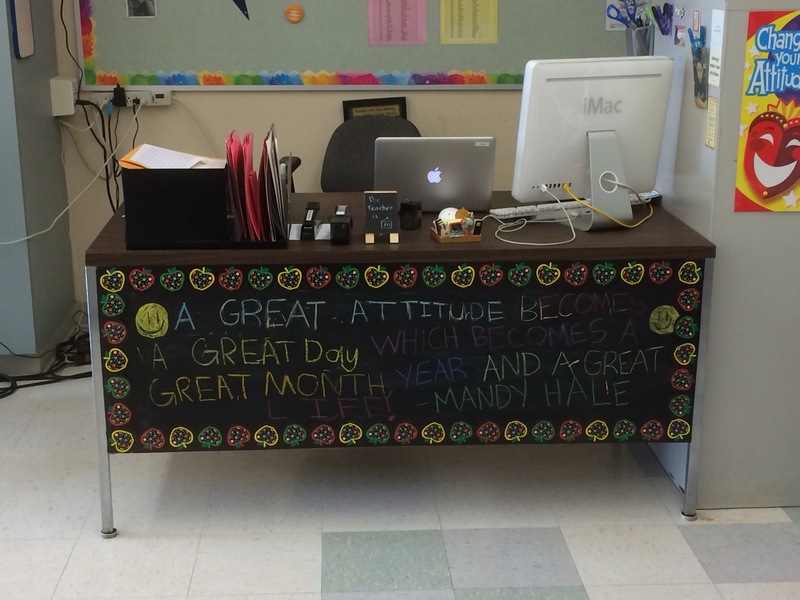 Thanks to Jackie and Maddie K. who are in charge of my desk this week. It looks like it’s already time for me to touch up the chalkboard paint. Drat! 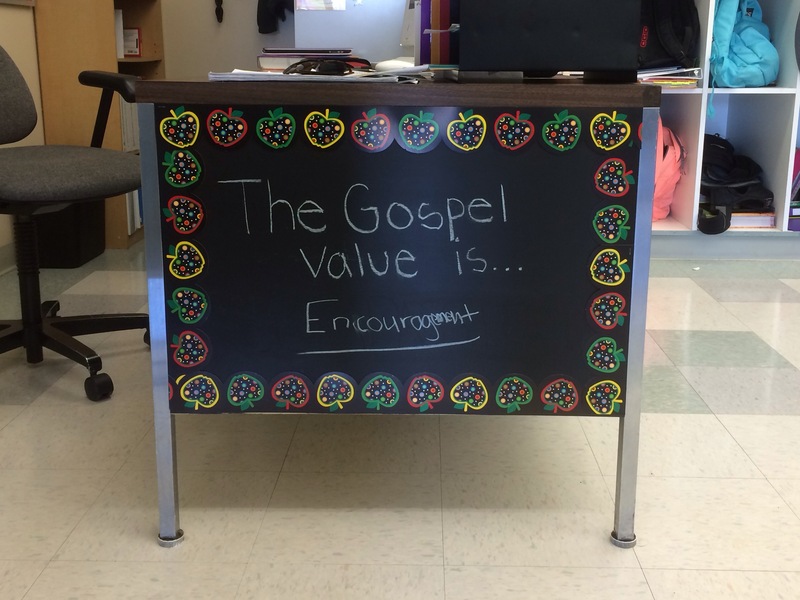 This week, my desk is being decorated by Evan and Matthew. 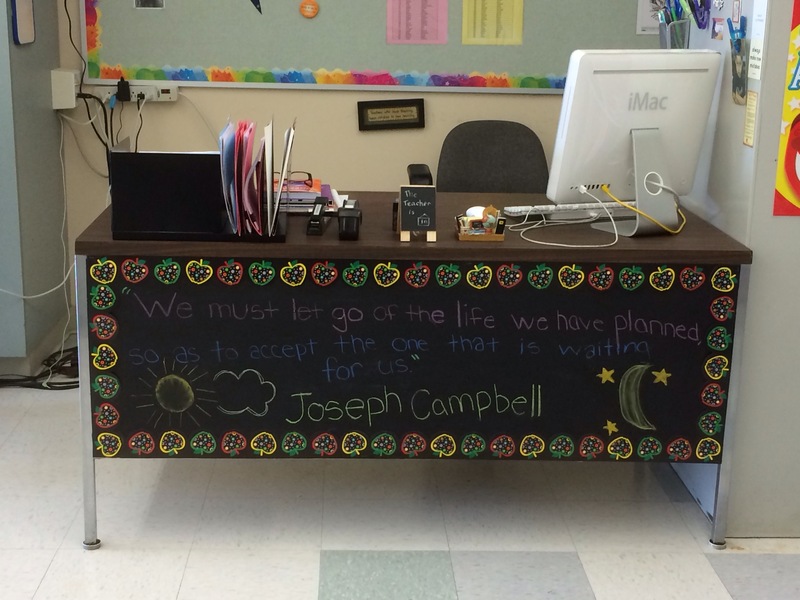 I decided to try something new with my teacher’s desk this year. 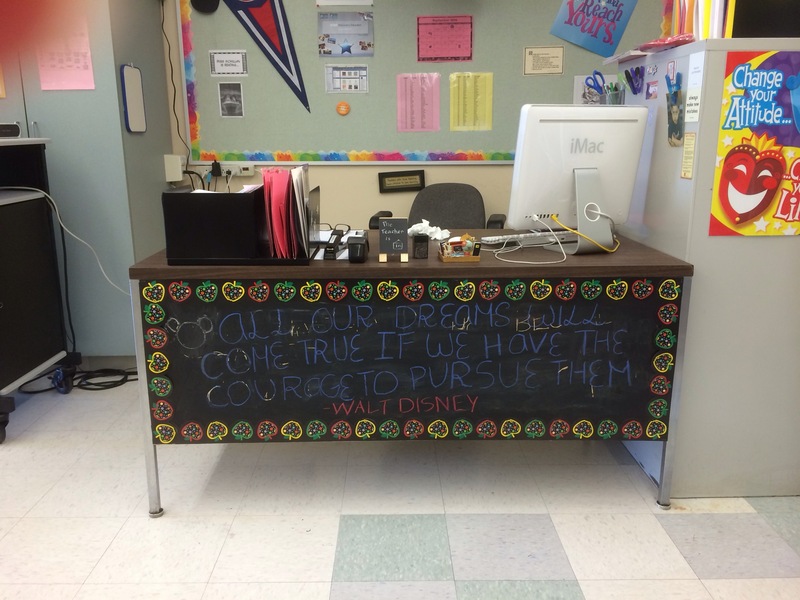 One of the student jobs that I have for my students to do each week is Quote Writer. 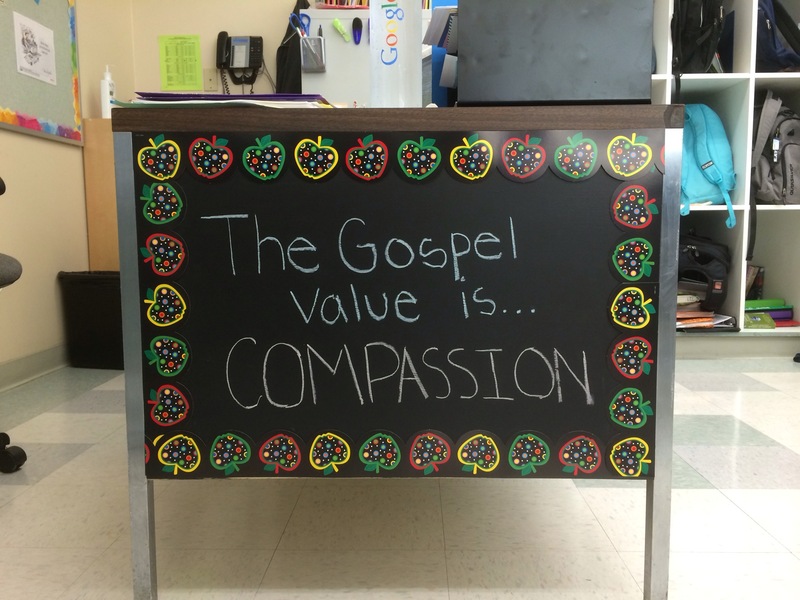 One pair of students has to find at least one inspirational quote each week to share with the class. 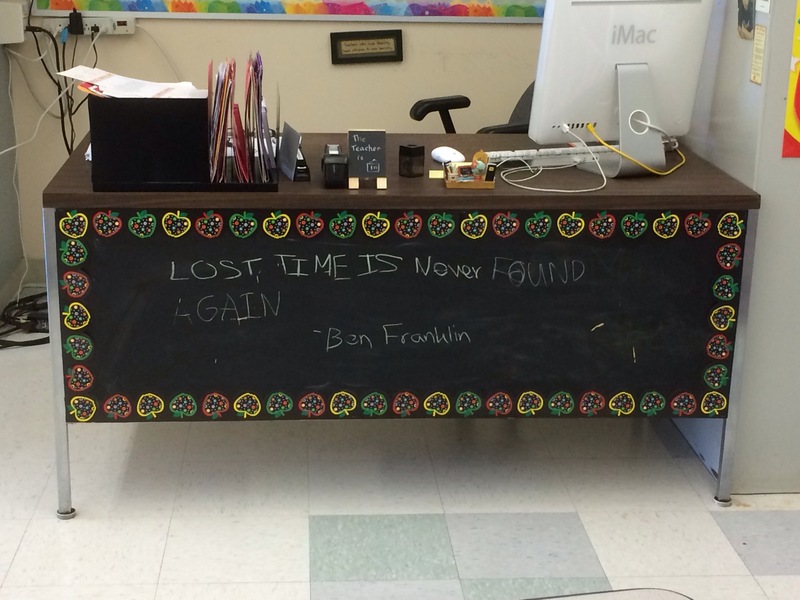 Last year, students were supposed to find a quote and add it to a Tumblr blog that I had created. That proved to be rather painful. 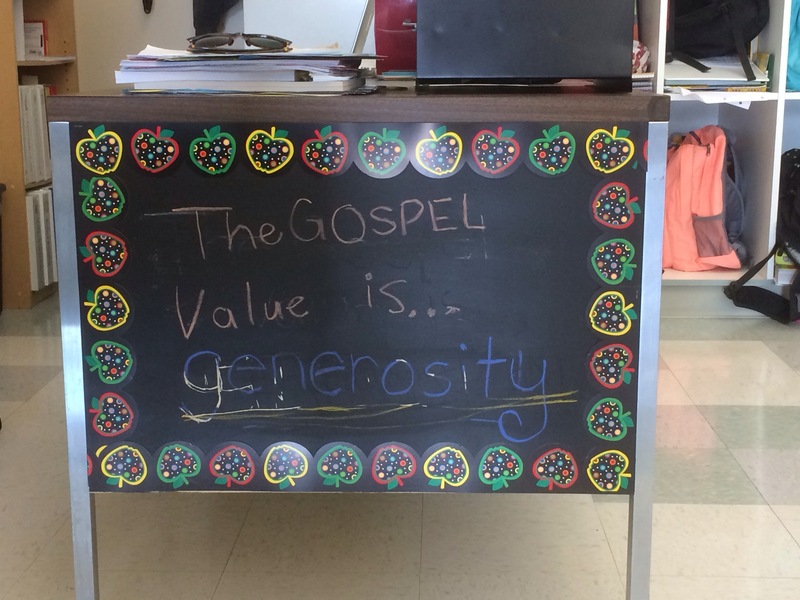 I spent too much time trying to get students to do that job. Then inspiration struck! 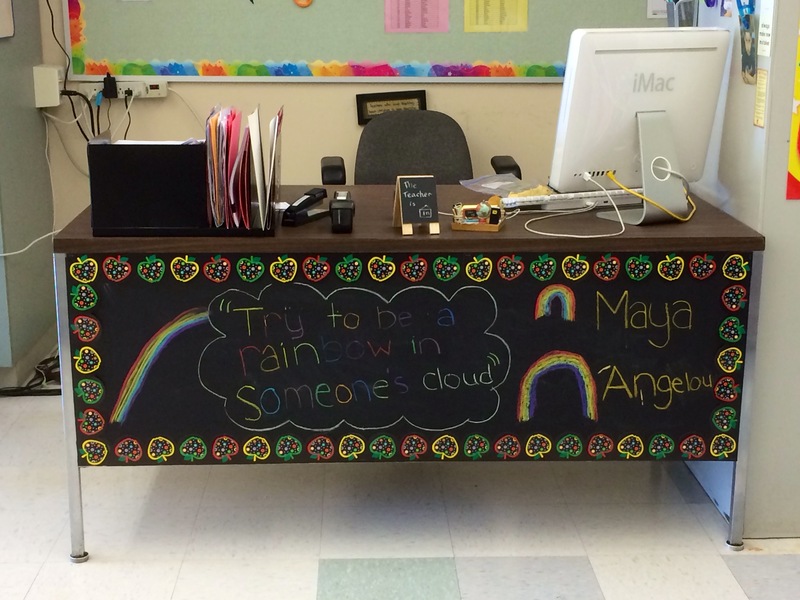 I decided to paint my teacher’s desk with chalkboard paint and then ask my Quote Writers to write their quote on the teacher’s desk with chalk. How motivating is that! And it looks fabulous! 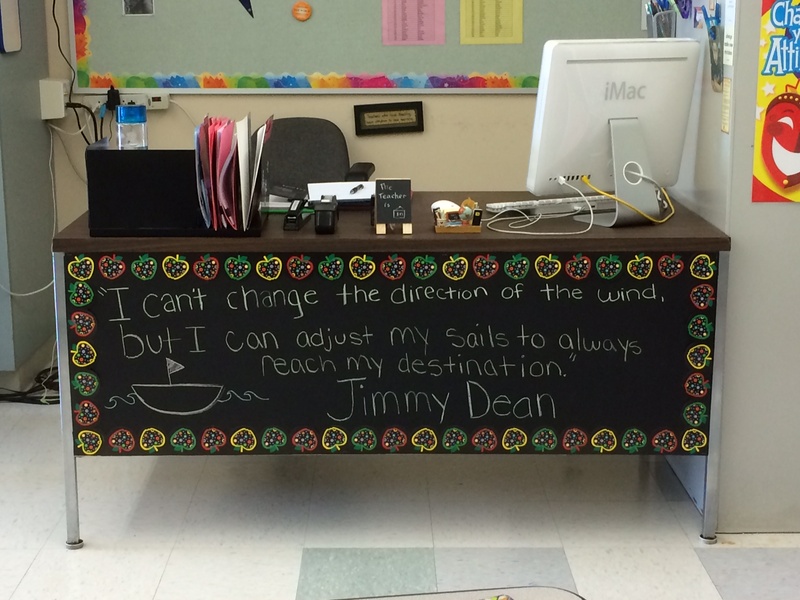 Thanks to Lindsey and Katie H. for being the first to add a quote to the teacher’s desk!